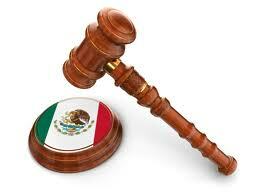 You might find it odd that a labor law would affect your need for Mexican auto Insurance coverage. However, your excursion by car into Mexico can be seriously affected if you are in an incident that causes a fatality. While your travels are certainly focused on experiencing the country and the culture, it’s important to be sure that your Mexican auto Insurance coverage is adequate. MexicanInsuranceStore.com provides comprehensive coverage and has liability limits exceeding that of many border insurance booths, ensuring that you have enough protection in light of the new 502 labor law in Mexico. What is the 502 Labor Law? The 502 labor law is a reference to Federal Labor Law, article 502, the portion of Mexican law designating a death benefit when someone causes the death of a third party. While the majority of the law addresses major work-related concerns, the traveler needs to understand that the death benefit is important to those driving in the country. Whereas previous indemnities were based on the minimum wage multiplied by 730 days, the new law provides for 5,000 days of general minimum wage in addition to funeral expenses. This multiplies liability amounts by up to four times. Different states’ wage levels can vary, leading to varied levels of compensation. This is why the liability limit provided by Mexican auto Insurance coverage is so important. How Does this Affect My Mexican auto Insurance coverage? The changes in the labor law make it important to remember to purchase your Mexican auto Insurance coverage before you travel. If you have an existing policy, you should verify your Mexican auto Insurance coverage liability levels and adjust appropriately based on which state'(s) you will be traveling in. It’s easy to move into border traffic for an impromptu excursion into Mexico without thinking about your insurance policy. Border booths on either side of the border may provide basic policies, but it’s wise to opt for a more comprehensive policy so that you aren’t faced with serious problems if you are involved in a fatality-related event. Online purchase can be managed easily, making it possible to access your documents by printer before you ever leave home. You can also make your adjustments during your travel. Many people who live close to border areas find that it’s more affordable to purchase a long-term policy so that their vehicles are covered for those unexpected ventures. Others make frequent trips for business or for charitable work. Appropriate coverage shouldn’t be avoided, and you need to pay particular attention to details related to your Mexican auto Insurance coverage liability levels. In addition to making sure that your coverage is appropriate, it’s always best to drive safely in Mexico. Use of mobile devices while driving can lead to major problems. Border regions are very active with lots of fast movement and unexpected lane changes. Vigilance is essential. If you aren’t familiar with traffic patterns in the area where you will cross, pay attention to the action as those ahead of you move across. If you are familiar with the area, don’t use this as a reason to be careless. Whether your time will be spent in the active region around the border or whether you are heading toward a rural highway, your understanding of the 502 labor law should motivate you to drive carefully. Do you buy your Mexican auto Insurance coverage online or at the border? Regardless of the road’s condition, I’ll still be secure! And the price is very low and suits my budget! Thanks! Just make you don’t drive off-road, otherwise you may not be covered! Take care! Even though there may be changes it’s still beneficial to get your vehicle protected under Mexican car insurance. I’ll get one if I were to drive in Mexico. Sadly, many non-Mexican citizens aren’t familiar with the laws in Mexico that require them to drive with Mexico insurance. Their lack of awareness causes a lot of confusions on their end.